While we welcome in 2012, it is time to consider the important question of why it matters. As I ponder the incredible changes in the world, I can’t help but notice that the more things change the more they stay the same. It really is true that history repeats itself. Internationally — what Israel does is still critical to the world. Deep in the heart of the Middle East lies the land where Jesus walked the face of the earth, millions of individuals have sought to visit the Holy Land. The peace of Israel is absolutely at the forefront of the news we all seek to stay on top of even today. Nationally — the economy of the United States seems to continue to be a prevailing topic around the water cooler, even if the water cooler is now gathered around Twitter and Facebook! From the gawd awful Unemployment Rate to the incredible amount of foreclosures across our country, putting food on the table and finding enough money to put fuel in your car is a challenge for many families. Locally — though infrastructure issues are always in the forefront of our minds as we sit through endless hours of traffic daily in the Red Stick, I would venture to say that crime is the most pressing issue of the day if we could take a honest assessment of what is truly important to each of us. Public Safety, and in particular the safety of our families and friends are paramount! Don’t be fooled by the fact that murders dropped in the city limits, when the truth is that we had one more murder in 2011 than 2010 in our parish. As we reassess and begin the New Year, I would say that we must take a hard look at our elected officials and the laws that govern our land. Though it’s true that change begins in the home, and it behooves each of us to create a loving, caring environment for the family unit, what is happening around us in the world can influence the outcome of our lives drastically. Recently, I was listening to the radio when I heard a friend talk about his son being shot at the Mall of Louisiana. Unfortunately, his son was simply with a friend minding his own business when some type of altercation broke out, of which he was not even a part of. The security at the Mall evidently has a policy that requires they round up all under age children and only release them once a parent comes to pick them up. While waiting for a parent to come to the mall, another altercation broke out and stray bullets hit his son. Fortunately, he will recover. The call from this parent to 107.3 proved to be more than enlightening. His words were of the nature that no longer will he elect a Mayor-President of EBR Parish that does not make the safety of our children the first priority. Well said. Why It Matters. 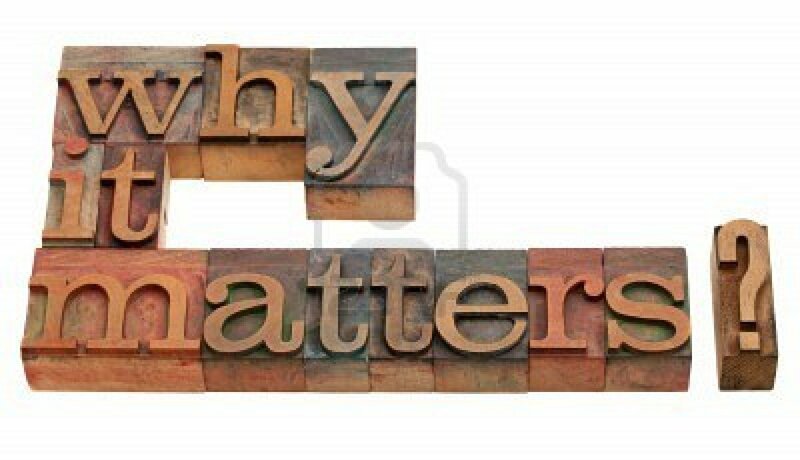 It matters because we can fight many battles in the world including peace, education, employment, home ownership, and the cost of living; however, unless we secure the safety of our loved ones, all else is moot. Where it matters is when we go to the polls to elect those that effect these critcal and important issues. Legislators write the laws that determine the consequences of crimal activity, judges decide how to enforce those laws, and mayors decide what the pecking order is of Red Stick priorities. Let’s all take a stronger look at candidates and elections in 2012. We do not need bigger jails, we need harsher sentences, implementation of those laws for violent offenders, and a no tolerance policy by local leaders. In election years, we should not consider the promises of those running for office, but their records. We have heard the old song of ‘no tolerance’, but not seen the action being taken. I am looking for candidates that have a proven record of no tolerance, not just campaign promises. Until we focus on candidates that have proven experience in dealing with our crime issues effectively, we are in a losing proposition in that crime will continue to increase, offenders will continue to believe they can get away with murder, and those running for and elected to office will not understand what truly matters to the people. In 2012, let’s make a commitment to understand what our role is in these important issues and truly act with the thought in mind of Why it Matters – because it is critical to the future of all that it really important!